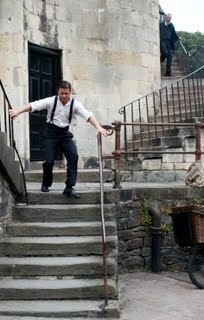 I was in the library in Bristol last summer while a scene from this TV crime series was being filmed outside. The series set in Victorian Toronto, but clearly Georgian Bristol made a decent stand-in. Lisa Faulkner (Spooks) stars alongside Thomas Craig, with newcomers Paul Rhys (Luther) and Victor Garber (Alias). "Based on the award-winning novels of Maureen Jennings, Murdoch Mysteries uses real historical developments in the field of forensic science interwoven with fictional stories of devilish cunning." The fourth series begins on Alibi on 15 February. You can win tickets to an exclusive preview screening on 10 February at the Soho Hotel in London. For your chance to win, unlock this page and crack the code therein. Good luck! 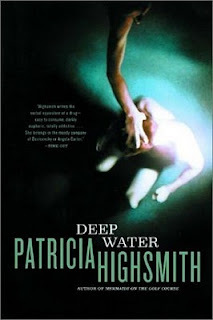 Back in August 2009, it was reported that Mike Nichols was to work on a film adaptation of Patricia Highmith's thriller, Deep Water, with the help of writer Joe Penhall, who wrote the script for The Road. Since then, things have gone very quiet and I wonder if the project has been shelved. If anyone knows for sure, either way, please drop me a line. 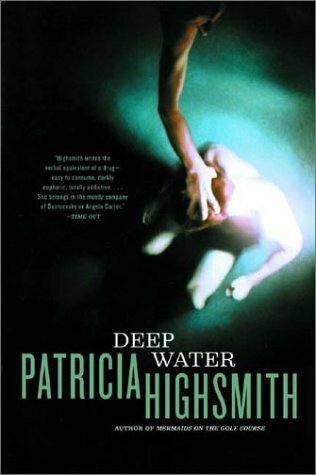 I've just finished reading Deep Water, and would easily rate it as one of Highsmith's most successful thrillers. It's told from the perspective of cuckolded husband, Vic Van Allen, pillar of his small community, publisher of obscure texts and keeper of snails. 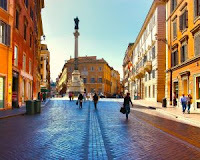 As with Tom Ripley, Vic's eye-view on the world is peculiar, to say the least, but we're drawn to it, because Highsmith is so consistent, careful and credible as a storyteller. Which is not say that her stories are always credible, rather the way in which she tells them is so coolly finessed and acutely focused that we never for a second doubt the authenticity of what we're reading, no matter how far her heroes might stray from what the rest of us consider acceptable or even usual behaviour. At one point in the story, Vic is observed by a psychologist, who pronounces him schizophrenic. As readers, we accept both the diagnosis and Vic's plausible amusement at it. None of the tension sits on the surface. Highsmith rarely uses confrontational situations or action sequences to heighten our sense of fear or excitement. What she does is to painstakingly lay out the facts for our consideration, leading us all the while further and further into the nightmare and towards a conclusion that's unguessable and yet entirely convincing, the only conclusion we would accept, in fact. We don't race to get there. This isn't a book we can't put down. In fact I recommend putting it down often, to allow time to assimilate the information. The tension comes from the control Highsmith exercises as a writer. A control she exerts over the reader with a cool, almost documentary prose style that tricks us into thinking we're not 'transported' or 'hooked'. Highsmith was smart enough to know that she didn't need to 'transport' the average reader anywhere; all the tension and horror she needed was right here, inside our heads. Bubbling away inside our small communities, like the one which supports Vic Van Allen right up until the final, shocking parting of ways. 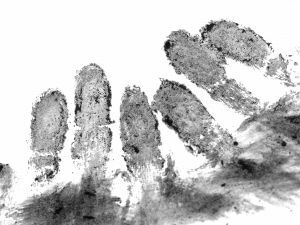 I'm making what feels like good progress with the novel rewrite, and thought I'd share something of the experience, new things I've learnt, old things I've ditched, or done differently. The first thing to say is what a difference having an agent and an editor makes! Not just because they've armed me with a blueprint for what needs to change, but because they so clearly have faith in my ability to do this. Too often in the past I've lost faith or enthusiasm at this stage in a writing project. Sometimes this is because I can't see what's wrong with a story or how to put it right. But it's usually got more to do with the fact that I need independent, expert validation of the concept and its execution. I'm fortunate enough to have that validation this time around. It's freed me from my usual diffidence and dithering. I'm swiping the red pen through swathes of text. Liberating? You bet. In the past, my approach has been... cautious, to say the least. I liked to write out, in detail, notes for what I had to do and how I'd do it. If I made too mistakes on a page of notes, I'd tear it out and write it again, more neatly this time. I would sometimes transpose the same notes from one Moleskine to another, partly because I believed that the repeated act of writing the notes would help the sense to seep into my head and my hands, making the eventual typing of it more powerful. This time around, I sped through, scribbling brief notes that prompted me to remember where new stuff needed to go. I did it quickly because I wanted to maintain momentum. I knew I could go back and fill in the gaps later. One of the chief challenges of this rewrite was completely changing a character. Age, name, motive, personality, all had to change. But the action taken, which propelled the plot at a vital moment in the story, had to remain the same. So in effect I was retrofitting character to action. One thing I learnt is that you can't create a character in notes alone. I made copious notes over the Christmas break, as to what and who and why this character would be. But it wasn't until I started writing the character's debut in the story that I really understood the voice and what it meant for who this person really was. Accept no substitutes, for black on white. Some of my old habits have remained. I am still filling - and refilling - the manila Moleskines. I review them each night, re-reading what I've written to see if it fits with what I've done in the ms that day. But I'm learning to trust my instinct, which is essential for a writer. If I have a vague feeling that something isn't - or is - working, then it probably isn't, or is. This is the biggest difference for me, this time around. It's an instinct that needs honing, probably always will. But I trust it. And that makes all the difference. So which new titles are you most looking forward to in 2011? 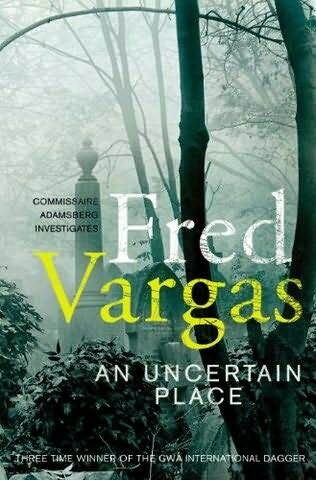 I can't wait for Jean-Baptiste Adamsberg to land in London, in the new Fred Vargas, An Uncertain Place, due out in April. After London, our hero heads out to Serbia, on the trail of vampires. Vargas knows how to keep her readers entertained, without a shadow of a doubt. Also out in April is Mo Hayder's new book, Hanging Hill, not a Jack Caffrey novel but it sounds very interesting. Jonathan Kellerman has a new novel out, Mystery, at the end of March. In the meantime, I have Joan Schenkar's biography of Patricia Highsmith to get through. At just over 700 pages, it should keep me busy. Let me know what you're hoping to read in 2011. If it's not too late to wish everyone a Happy New Year, then please consider it wished. May it be different, better, best. It's kicking off in great TV style, that's for sure. Tonight is Zen night, the first of three film-length adaptations of Michael Dibdin's Aurelio Zen novels, set in Rome, starring Rufus Sewell as the Venetian detective with the tattered past, tattered future. BBC1, 9pm.